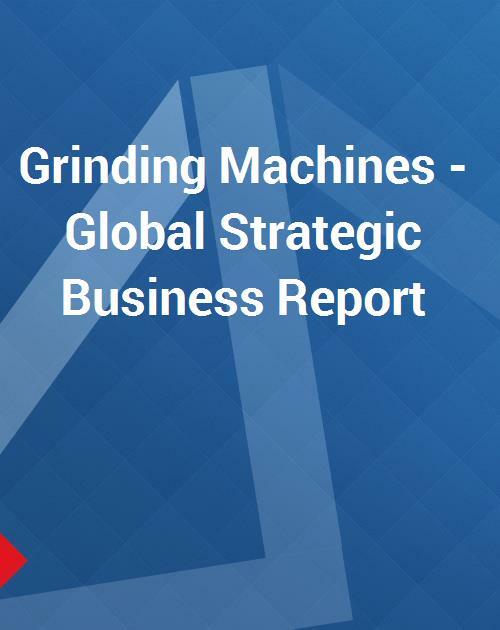 This report analyzes the worldwide markets for Grinding Machines in US$ by the following Product Segments: Surface Grinding Machines, Cylindrical Grinding Machines, Center-less Grinding Machines, and Other Grinding Machines. The US market is further analyzed by the following End-Use Sectors: Job Shops, Automotive, Aerospace & Defense, Heavy Industries, and Others. The report provides separate comprehensive analytics for the US, Canada, Japan Europe, Asia-Pacific, Middle East & Africa, and Latin America. Annual estimates and forecasts are provided for the period 2015 through 2022. Also, a six-year historic analysis is provided for these markets. Market data and analytics are derived from primary and secondary research.